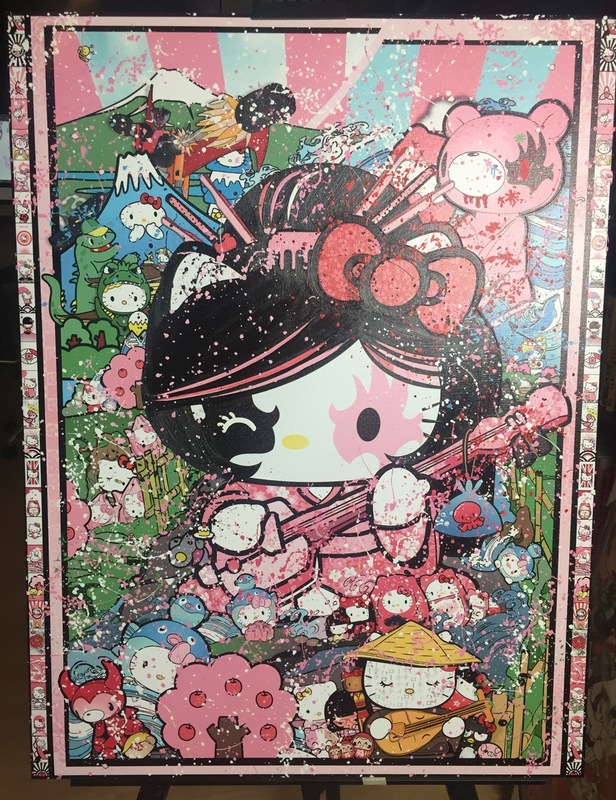 Part 3 of the "9 and a half views of Mount Kitty" series, "YOU WANTED THE KITTY, YOU GOT THE KITTY" (Shamisen Unplugged) features a wild KISS + Hello Kitty-inspired transformative homage to the Cult of Kawaii from the master of the SuperPop school of art, Smilin' Sean Danconia (that's me)! Mixed-Media, archival ink + acrylic on museum-grade canvas. The piece features an imaginary concert given by Kitty-Chan and and inspired by a plethora of iconic Kitty, Japanese, Anime and Manga characters along with many from the original SupaPop City universe. Some inspirations include Gloomy Bear, Kokeshi Kitties, Daruma Kitties + Daruma (founder of Zen Buddhism) himself, Kingyo, Badtz Maru, Suzi Sixty-6, Joey, Godzilla, Mount Fuji, Mazinger Z, Hokusai, Shinkansen, Hoshinoya Onsen, Hanafuda, Nintendo, Takuan, KISS, Gotochi-Kitty, Gene Simmons, Kiti-Gawa and more! 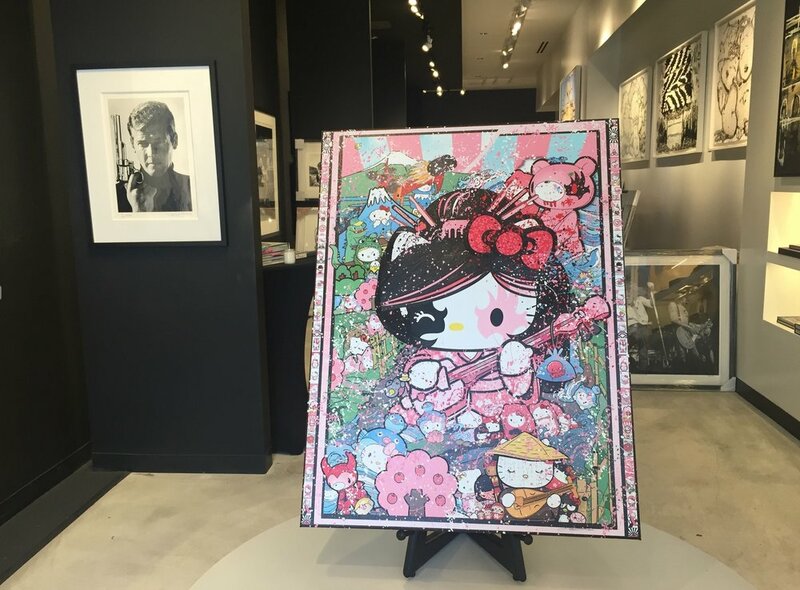 "YOU WANTED THE KITTY, YOU GOT THE KITTY" (Shamisen Unplugged) is available to view and make your own at MOUCHE GALLERY located in Rodeo Drove, Beverly Hills. To purchase online, please email us direct for pricing. We will gladly ship to almost any location in the solar system.